An Employee Volunteering Scheme delivers benefits to both businesses and voluntary organisations. So why don’t more businesses offer opportunities for their staff to volunteer? And why aren’t you getting the skills and time you need? 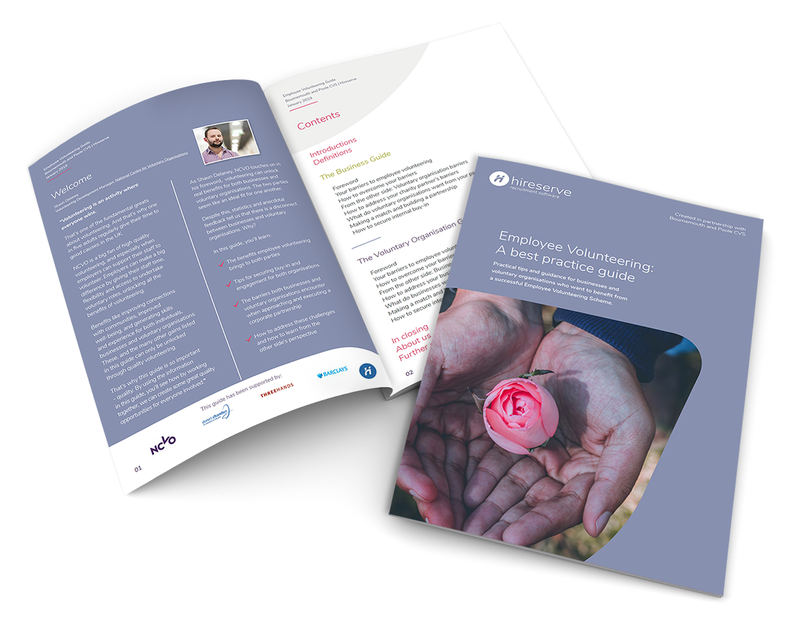 This guide has been created for voluntary organisations like you to help you approach, engage and work with corporate partners. 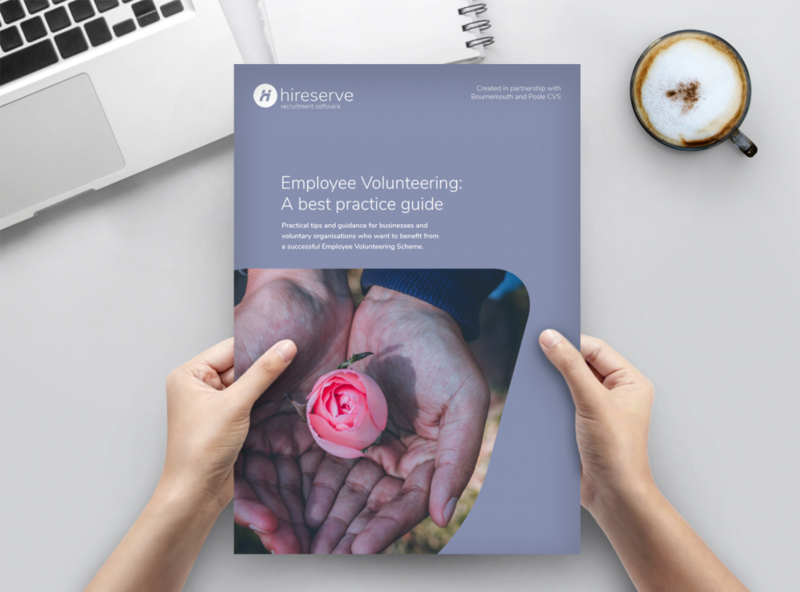 Get your Guide to Employee Volunteering first by downloading today. We’ll send the guide straight to your inbox. What else would you like to find out about? By ticking any of the above four boxes, you are giving consent to receive related emails from us at Hireserve. Please be assured - we are picky about what content we send out! You will only receive relevant and valuable information, and we will never pass your details on to third parties or compromise your personal data. Visit hireserve.com/privacy-notice to learn more about our approach to Data Protection. And remember, you can opt-out at any time. On how voluntary organisations should approach staff volunteering. Are you a business looking to encourage your staff to volunteer? There’s a guide dedicated just for you! View and download it here.